Come celebrate the release of SONGS FROM THE WILLOW on the ROOFTOP at NAC! We’re throwing a party to celebrate the release of an album of music written by members of The Willow Community. 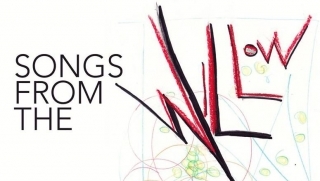 Songs from the Willow is a six month collaborative music writing project that will result in a full album of music, w/ producer and songwriter Joe Lapinski. Members are involved in every aspect: from lyric writing, to music composing, to album packaging art, to music recording, to organizing an album release party, to social media marketing. All skills and art forms have been explored, making this a very inclusive and accessible series. Workshops take place at Rodman Hall Art Centre and Niagara Artists Centre in St. Catharines. CDs and Download cards will be available for $10 and $5 respectively. This project wouldn’t be possible without the support of Ontario Arts Council - Conseil des arts de l’Ontario, The Willow Community, Rodman Hall Art Centre, and Niagara Artists Centre (NAC).